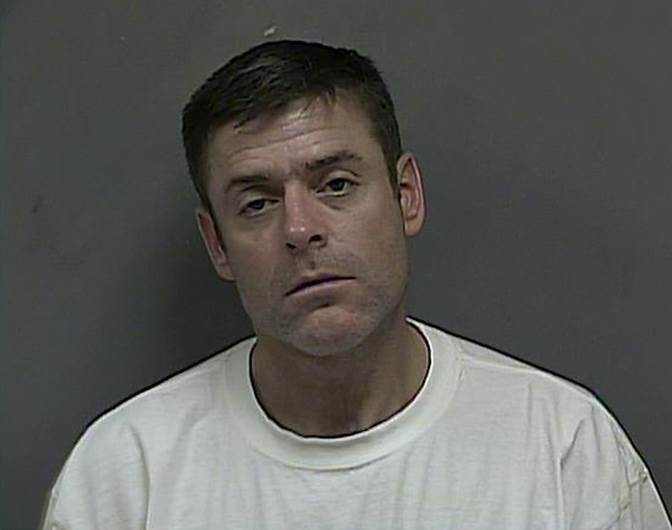 On February 11, 2017 at approximately 1:00 AM, Kingsport Police Patrol Officers responded to a Rogersville, Tennessee Wal-Mart store at the request of the Rogersville Police Department. Rogersville Police Officers had detained Michael Steven Knarr after seeing his image circulated in an official K.P.D. News Release as a suspect in multiple area felony shoplifting incidents. Upon arrival, Kingsport Officers were able to positively identify Mr. Knarr as the suspect in question. He was placed under arrest for Theft of Property over $5,000 (Felony Shoplifting) and transported back to the Kingsport City Jail, where he remains confined, awaiting arraignment, with no current eligibility for bond. At the time of his arrest, Mr. Knarr was traveling in the same silver 2004 Volkswagen Passat compact 4-door sedan used during his earlier crimes. He was also in possession of several power and hand tools believed to have been stolen, as well as over $2,500 in cash, believed to be proceeds from the sale of stolen property. His vehicle, the tools, and the cash were all seized as evidence. As he was being booked and processed through the Kingsport City Jail, an alert Kingsport Corrections Officer took note of a particular item in his possession. From prior employment experience, the Corrections Officer immediately recognized the item as a proprietary tool used to deactivate alarms on fire doors at emergency exits. This tool was also seized as a key piece of evidence. Mr. Knarr remains the subject of investigations into several felony shoplifting incidents in Kingsport and other jurisdictions across the Tri-Cities area of Northeast Tennessee. Additional charges are pending in multiple jurisdictions in those incidents. The Kingsport Police Department would like to thank the Rogersville Police Department for their invaluable assistance in the apprehension of Mr. Knarr. On February 10, 2017 at approximately 1:45 AM, a white male suspect shoplifted a felonious amount of merchandise from Wal-Mart, located at 2500 West Stone Drive in Kingsport. The suspect loaded 49 separate items (total value in excess of $5,000) into 3 different shopping carts. He then disabled an alarm on an exterior fire door and discreetly left the store through an emergency exit. Once in the parking lot, the suspect loaded his loot into what appears to be a silver colored Volkswagen or similarly styled compact 4-door sedan and fled the scene. There was a very uniquely styled aftermarket cargo rack affixed to the roof of the vehicle. The same suspect is believed to also be responsible for at least three similar felonious shoplifting incidents in the past 24 hours at other Wal-Mart stores across the Tri-Cities area of Northeast Tennessee. He is believed to have shoplifted over $2,000 in merchandise from the other Kingsport Wal-Mart store, located at 3200 Fort Henry Drive, over $5,000 in merchandise from a Bristol, TN Wal-Mart store, and an unspecified value of merchandise from a Johnson City, TN Wal-Mart store. Anyone who recognizes this man or his vehicle or who may have any information regarding this string of crimes is asked to contact Detectives in the K.P.D. Criminal Investigations Division at 423-229-9429 or call Kingsport Central Dispatch at 423-246-9111.